Photo: Hampton Synagogue Choir The Hampton Synagogue Choir is considered one of the most important vocal ensembles in the musical world, with members from various countries. DALLAS — The Hampton Synagogue Choir and special guest Raquel Pomerantz Gershon join Cantor Itzhak Zhrebker and the Shearith Israel Choirs Kol Rina and Kol Neshama for their Cantorial Concert 2016 at 7 p.m. Sunday, March 6, in the Aaron Family Main Sanctuary of Congregation Shearith Israel, 9401 Douglas Ave. It is the latest in the Small Waldman Cohen Signature Series. Last October the series sponsored Israel’s superstar composer-singer-songwriter David D’or. 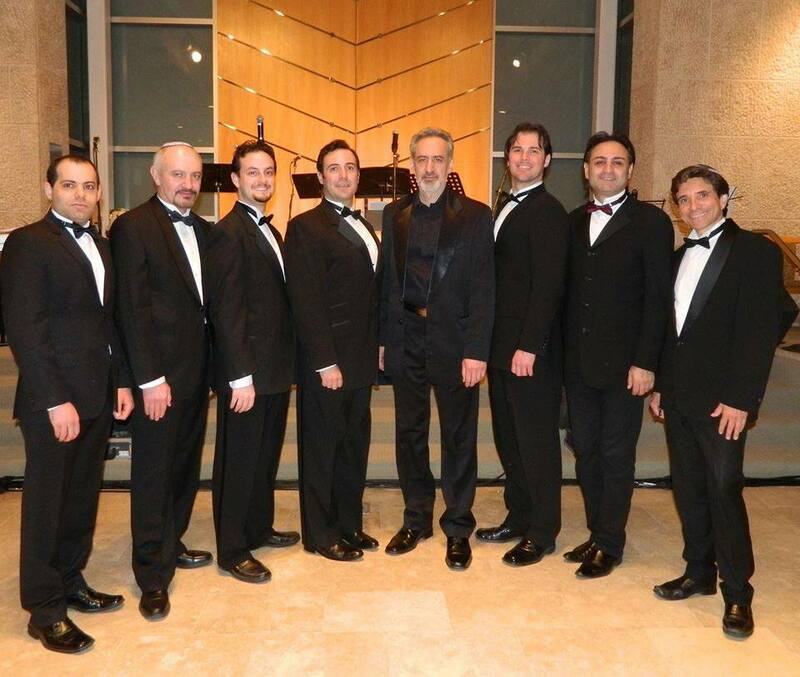 The Hampton Synagogue Choir — a vocal ensemble that specializes in Jewish liturgical and folk music under the direction of Izchak Haimov — has performed in some of the world’s most prestigious concert halls, including Carnegie Hall, Lincoln Center, and the Kennedy Center. Zhrebker said this year’s “out of the box” decision to include them in the Cantorial Concert should really pay off in terms of musical quality. Indeed, the choir’s wide repertoire spans Jewish liturgical music, Hebrew, Yiddish, Ladino, Russian, Italian, French, Spanish, Neapolitan songs, Broadway, opera and classical pieces. Many of the choir members have independent operatic careers of their own. As such, the Hampton Choir is considered to be one of the most important vocal ensembles in the music world. Group members come from different countries and their varied tones of Jewish culture combine to create the group’s signature sound. Izchak Haimov, choral director for the Hampton Synagogue Choir, said he has been looking forward to this performance for quite some time. Raquel Gershon, Jewish educator, local singer and songwriter of contemporary Jewish music, will make a special guest appearance at the concert. She will perform two songs from her second CD, Candlesticks of Silver. She has released two CDs and currently is working on a third. “In addition to my two original songs I will be performing two songs with Cantor Zhrebker and the Hampton Synagogue Choir,” she said. Gershon serves as High Holidays cantor in Tucson, Arizona and as part-time cantorial soloist at Congregation Beth Israel in Colleyville. Additionally, she is religious school music director and bar mitzvah tutor at Congregation Shearith Israel. Gershon — who plays wedding ceremonies, private house concerts and luncheons — will have CDs available for purchase after the concert. Her music currently is available on iTunes, oySongs, and cdbaby. The March 6 concert runs from 7 p.m. to 10 p.m. Cost will range from $10 to $12 per person. To inquire further, go to shearith.org, or contact Sandi Burt at sandib@shearith.org or 214-939-7315. NEW YORK (JTA) — Bernie Sanders is having a month of historic firsts. In New Hampshire, he handily won the Democratic Party contest, becoming the first Jew to win a presidential primary. In Iowa, he became the first Jewish presidential candidate — the first non-Christian, even — to win delegates in a major party’s caucus or primary. What’s more significant is that he’s the first Jew to mount a credible campaign for the White House. And if the prospect of Republicans nominating a pro-choice Jew in the 1990s or Democrats tapping a Jewish hawk in the Iraq War’s aftermath seemed far-fetched, the notion of a Jewish socialist with a thick Brooklyn accent giving Hillary Clinton a run for her money is really incredible. Yet one aspect of Sanders’ improbable candidacy is, remarkably, treated as mostly unremarkable: his Jewishness. Sanders doesn’t go out of this way to highlight his Jewish background, nor have his supporters or opponents made it an issue. The Jewish community has not rallied around him, nor has there been, until now, any Jewish groundswell of public pride or anxiety over his campaign. We have not heard calls for Jews to support their fellow Jew. Contrast this with the prominence of gender in discussions of Clinton’s candidacy. Former Secretary of State Madeleine Albright and feminist icon Gloria Steinem caused a stir several days ago when they seemed to rebuke younger women who back Sanders over Clinton. “There’s a special place in hell for women who don’t help each other!” Albright said. Meanwhile, American Jews are united in comparative nonchalance about Sanders’ Jewishness. Partly that’s because few expected he would do so well. But it’s also because Lieberman already broke the Jewish glass ceiling. His 2000 vice-presidential run proved Americans were prepared to put a Jewish candidate a heartbeat away from the presidency. Of course, Lieberman wasn’t just a Jewish candidate. He was a very Jewish candidate. He wore his identity on his sleeve: an Orthodox Jew outspoken in his support for Israel and other Jewish causes. Tellingly, last Rosh Hashanah, Sanders wasn’t in synagogue. He was in church — well, not church per se, but he was at Liberty University, the conservative Christian educational citadel founded by the late Rev. Jerry Falwell. Sanders was there preaching his secular brand of social justice gospel. Democratic socialism, not Judaism, is his real religion. But Sanders is also, in his own way, a very Jewish candidate. Rather, Sanders’ personal and political story is emblematic of a whole generation of Jewish idealists. Today, Sanders invokes his Jewish roots to explain his passion for combating bigotry. In one of his campaign’s most memorable moments, a young hijab-wearing woman at a Sanders rally told the candidate she was worried about anti-Muslim rhetoric in American politics. Sanders beckoned her over for a hug. At the same time, Sanders’ staunchly left-wing stances occasionally have taken him outside even the liberal mainstream of American Jewish politics. For instance, Sanders backed the Rev. Jesse Jackson’s historic presidential bids in 1984 and 1988, notwithstanding the black leader’s then-acrimonious relationship with the Jewish community. On Israel, too, Sanders expresses positions that would put him at odds with Jewish communal leaders. He has strongly criticized Israel’s treatment of the Palestinians and suggested that as president he would “maintain an evenhanded approach to the area.” Yet he has come under fire from anti-Israel activists, as when he was heckled at a 2014 Vermont town hall meeting for expressing sympathy with the Jewish state over the threat it faces from Hamas rocket attacks even as he condemned Israel’s conduct in Gaza. Iowa and New Hampshire can’t tell us much about how Sanders will perform with Jewish voters, and Clinton has plenty of Jewish devotees. But these early contests do indicate that Sanders’ Jewishness isn’t hurting him with Democrats. If anything, Sanders’ fans find his disheveled-old-Jewish-socialist-from-Brooklyn image to be a charming badge of authenticity. Still, there are those who think being Jewish can be a political liability. New York City’s former mayor, Michael Bloomberg, who is toying with the idea of jumping into the presidential race, once expressed doubt that America would elect a “short, Jewish, divorced billionaire.” Bloomberg may be correct that being a billionaire or short could be a liability, but is he right about Jewishness? Polling suggests that Jews may be America’s most popular religious group. Jews are warmly regarded by Democrats and Republicans, evangelicals and atheists. A recent poll by the Pew Research Center found that only 10 percent of Americans are less likely to vote for a Jew for president, compared to 20 percent who said they were less likely to vote for an evangelical Christian. Perhaps it’s because everyone can seem to find something to like about Jews: To conservative evangelicals, Jews are the Bible’s “chosen people;” to secular and liberal Americans, Jews are liberal, secular types. Sanders’ identity as a socialist may be much more problematic: 50 percent of Americans say they wouldn’t vote for a socialist. And the fact that he’s not particularly religious could be a liability: 51 percent of Pew respondents said they were less likely to vote for an atheist for president. If Sanders’ Jewishness is not an issue, perhaps it’s because Jews are so well-integrated into contemporary American life. Indeed, Sanders is not the only presidential hopeful with intimate Jewish ties. His rival for the Democratic nomination has a Jewish son-in-law who donned a yarmulke and tallit at his wedding to Chelsea Clinton. The winner of New Hampshire’s Republican primary, Donald Trump, has a daughter who converted to Judaism and goes to an Orthodox synagogue. What’s remarkable is how unremarkable this is. At early voting in Collin County, there were signs indicating that both the Republican and Democratic precinct conventions would be held on Saturdays (Republican on March 5 and Democratic on March 19). Emails were sent to both the Republican and Democratic headquarters in Collin County as well as to the National Jewish Democratic Council and the Republican Jewish Coalition, calling attention to the problem for Shabbat observers. No response was received from anyone in the Democratic Party. Two responses were received from the Republican Party. Executive Director Neal J. Katz of the Collin County Republican Party replied, “While we had previously held our Precinct Conventions right after voting on Primary Day (usually a Tuesday), the change to Voting Centers resulted in a much lesser turnout as many citizens did not vote at their ‘home’ locations, and never returned to that location to participate in the Convention process. Lubbock County, which was the first county to use Vote Centers, was the first county to try this approach, as we are testing it this year. The main issue is finding a good location that could hold 200 separate meetings as well as a general session consisting of possibly 1,000-plus citizens. “Thank you for your note. Similar issues arise in a few places each election cycle — a convention on Shabbat, a caucus on Shabbat, a primary on Shabbat. It’s not from any intention to exclude people, but from a lack of knowledge or of planning for inclusion. “The way to change that for the future is for members of the local Jewish community to work with local officials, early in the process, to discuss these things and if necessary, to encourage them to reschedule conventions, allow early voting, or keep polls open until after Shabbat, to accommodate observant Jews. This year, the Kansas caucus is on Saturday, March 5, between 10 a.m. and 2 p.m. People there worked with the head of the Kansas Republican Party to arrange for early voting for those who cannot go on Saturday. Two decades ago, I read Holy Days: The World of a Hasidic Family, written by Lis Harris, a reporter for The New York Times. She actually moved into the home of one such family, living with them for several weeks to absorb the atmosphere and share the experiences that authenticated her story. From it, one small bit made this lasting impression on me: the identity of small children, she wrote, is established very early in Hasidism. Boys and girls know from toddlerhood what their adult lives will be; they are already little men and women, growing into the parentally modeled male/female, father/mother roles they are expected to assume. Twenty years later, I read Uncovered, Leah Lax’s account of living in, and ultimately leaving, that Hasidic world. In her time within the community, she raised seven children who echoed what Harris had reported, each taking on his or her accepted role as new siblings arrived: the girls as little mothers, the boys as wedded to Torah study as their father. Very recently, I had the opportunity to discuss Lax’s book, and to touch on others such as Harris’ that cover similar subject matter, with some 20 Jewish women, none of them Hasidic. We talked about why a young girl from a Reform family would choose this life for herself, and why she would ultimately reject it. Uncovered isn’t one of the many self-indulgent, self-published memoirs that flood today’s book market. Lax, now in her late 50s, is a writer of recognized quality. Her story is of finding a lifestyle that promised the stability missing from the disorganization and dysfunction of her nuclear family home. In Hasidim was the structure she had never experienced before; she walked its straight, rule-bound path for 30 years, leaving it only after finally understanding and accepting her essential, individual self. A key factor in all of this, a theme that runs through Lax’s life story, is the mikvah. This ritual bath, and the purity laws that mandate it, are the keys that unlock Lax’s self-discovery. The enforced separation of husband and wife for long periods each month not only builds mental and physical discipline into the marital relationship; immersion into the mikvah’s waters also presents a woman with symbolic rebirth at regular intervals in her cycle of life. This is far from a simple physical bath; it is a spiritual experience as well. While Leah Lax ultimately rejected Hasidism, she did not reject the mikvah. Rather, she identified in it aspects of potential meaning far beyond the seemingly simple monthly requirement of immersion and prayer. If the mikvah’s waters symbolize a regular transition from the impure to the pure, why should they not mark other important transitions in a woman’s life as well? The law sends a young Jewish bride to the mikvah for the first time before her marriage; why shouldn’t it also bring her comfort and solace when her marriage ends, whether by divorce or widowhood? Why shouldn’t it celebrate other major events in her life, like the bar mitzvah of a son or the wedding of a daughter, or of becoming a grandmother? These possibilities and many others found voice in 2001 when The Mikvah Project, with the sensitive text by Lax that accompanies artful photos by her friend Janice Rubin, was published. 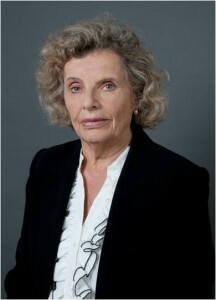 Interviews with many women reflect poignancy, need, and fulfillment; the pictures were pre-approved by rabbis since they show nothing that might be considered even remotely prurient or pornographic. I think this book stands as Leah’s lasting contribution to the community she ultimately rejected for herself. As the annual Kosher Chili Cookoff in Dallas approaches, I’m recalling a group of “mikvah women” who used to appear in bathrobes and slippers as they dished out their samples. I hope they’ll come again, this time offering copies of The Mikvah Project along with tastes of their cooking. The combination would be good for both body and soul. It was a little more than a year ago when the 160-plus members of the Greater Dallas Jewish community traveled to Yad Vashem as part of the Big One mission to Israel. There, we were privileged to hear insightful and moving remarks from Dr. Rachel Korazim, renowned Holocaust educator, before touring the museum. Next weekend, March 4-5, all members of the community will have the opportunity to learn from Korazim when she is the scholar-in-residence at Congregation Shearith Israel. Dr. Rachel Korazim of Yad Vashem brings Israel’s past and present to life. Through an exploration of images, literature, poetry, and music, Korazim helps audiences deepen our connection to Israel and Israelis and to the Holocaust and those forever changed by it. For many years, Korazim says, we have learned to deal with the memory of the Holocaust through the unimaginable number of 6,000,000 victims. We have been exposed to mainly black-and-white photography and have also developed a vocabulary to address these issues. On Friday, March 4, services in the Beck Family Sanctuary begin at 6 p.m. Dinner and learning following services in Topletz Auditorium begin at 7 p.m. Cost is $15 per person and RSVP is required by March 2. For more information or to register for Shabbat dinner, visit shearith.org or contact Chantal Umana at cumana@shearith.org or 214-939-7325. Through an exploration of Israeli poetry and song by Yehuda Amichai and others, Dr. Korazim will explore images of peace from periods in Israel’s history when peace was a mere wish at best. At times uplifting, at times controversial, the words will spark a lively discussion about one of the Jewish people’s deepest national aspirations — peace in Israel. The charitable beneficiaries of the 23rd Annual Dallas Kosher Chili Cook-off are the Dallas Holocaust Museum and Jewish Family Service of Greater Dallas — Women’s Abuse Support group. In 2015, The 22nd Dallas Kosher Chili Cook-off proceeds provided contributions to Friends of the Israel Defense Forces (FIDF) and JCC Maccabi Games. Recipients from the proceeds of the Cook-off in previous years include: Akiba Academy, Tikvah, Pam Seigel Fund, Jewish Family Service, Wise Academy, Yavneh Academy, Kosovo Relief, Make-A-Wish Foundation, Dealey Orchestra, B’nai B’rith, Hillel, Austin Street Shelter, Golden Acres, Chai House, Bikur Cholim Society, Vaad Hakashrus Of Dallas, Maccabi Games/Taglit, Dana’s Hope/Golden Acres, JCC Senior Program, Jewish War Veterans, VNA Meals on Wheels, SoupMobile, Jewish Children’s Regional Service, Community Homes for Adults, Inc., Crohn’s & Colitis Foundation, Dallas Hebrew Free Loan Association, Moishe House–Dallas Chapter, Dallas Jewish Historical Society, Muscular Dystrophy Association’s ALS Division, Texas Region of the Bnai Zion Foundation, Dallas Fighting Maccabees Special Olympics Texas delegation, and the Dallas VA Hospital-Veterans Recovery Trauma and Rehab center. For more about the Dallas Kosher Chili Cook-off, including events, entertainment and costs, visit http://kosherchilicookoff.us. Rabbi Emeritus Kenneth D. Roseman joined Rabbi Andrew Paley for the special ’80s/’90s themed service Feb. 19. Temple Shalom members continue to celebrate the exciting and vibrant history of their beloved synagogue. Some congregants came dressed in their favorite ’80s styles and everyone enjoyed reminiscing about old times at the Oneg and listening to Rabbi Roseman’s sermon. “With nearly 500 worshipping with us, including many of the residents of CHAI House, their staff and officers, we continued the celebrating of our 50 years by commemorating the decades of the ’80s and ’90s with our guest speaker and Rabbi Emeritus Rabbi Ken Roseman as our featured speaker. “In addition to his important words, Cantor Avery brought us many wonderful melodies and passages from the Gates of Prayer, the Reform prayer book used during those years. 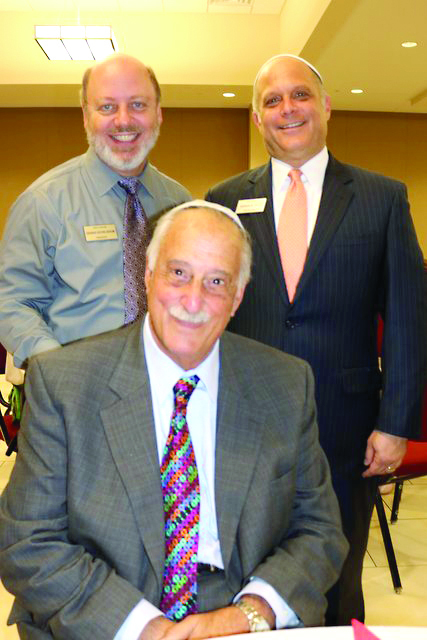 It was a blessing to see so many rejoicing in the memories of those years at Temple Shalom which were filled with innovation, creativity, growth and the kind of entrepreneurial spirit which all continues through to this day,“ exclaimed Rabbi Paley. DALLAS — Several hundred people attended Rabbi Kerry M. Olitzky’s Feb. 18-21 appearances as the 2016 scholar-in-residence for the Rabbi David Lefkowitz Memorial Lectureship at Temple Emanu-El. The rabbi is executive director of Big Tent Judaism, a national, independent, transdenominational organization reaching out to unaffiliated Jewish families and those who are intermarried. Rabbi Olitzky, named one of the 50 leading rabbis in North America by Newsweek, is a well-known author widely lauded for his encouragement of inclusiveness. He covered a variety of related topics during the weekend, ranging from a special Thursday evening session geared to individuals and families navigating recovery to Shabbat services to a Sunday morning talk on how to nurture Jewish grandchildren. Many of those in attendance Thursday evening were there because they were well aware of the rabbi’s published work in the field. The rabbi said he covered a lot of areas on a variety of topics this past weekend, based on their needs and various topics on which he currently is working. The rabbi is an author of many books and a co-author of others. He penned New Membership & Financial Alternatives for the American Synagogue: From Traditional Dues to Fair Share to Gifts from the Heart with his son, Rabbi Avi S. Olitzky. The book was published by Jewish Lights Publishing. Mindful of the ongoing expansion at Temple Emanu-El, the rabbi said he was fortunate enough to speak to the program staff this past weekend. “They have a task force on engagement that is working in concert with the development of their building expansion to try to figure out how a large institution is able to reach not only its membership and remain intimate with that membership, but also emerge as a community institution serving way beyond its membership,” he said. Olitzky said he hopes members of the synagogue begin to think about subjects he brought up and take some of the ideas he presented. “The people were responsive and they were appreciative, and the indicator will be whether they felt the various points I made are valid and whether they are willing to implement some of the things I talked about,” he said. On the subject of intermarriage, he said there is much to be clarified about the topic. People continue to get married — but not increasingly with rabbinical clergy. Rather, he said, it is by the next-door friend or the neighbor with a license for a day. In other words, he said, rabbis in particular are increasingly being left out of the lifecycle events of Jews. Rabbi Olitzky said he felt turnout was good during the weekend. 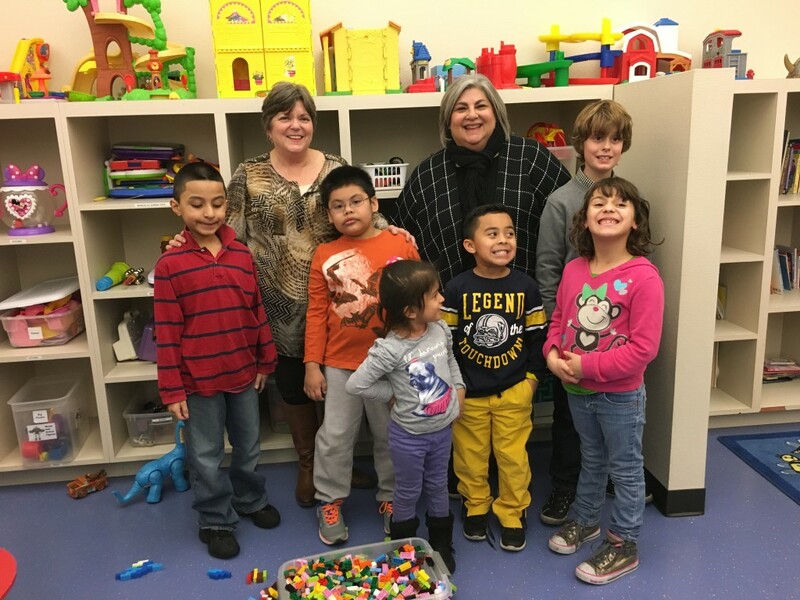 Submitted photo Linda Lavi (left) and her sister Marla Owen delivered the first set of 2,000 Legos to the Child Study Center in Fort Worth last month. The Legos were disassembled from the record-breaking Lego menorah constructed by members of Congregation Ahavath Sholom at Hanukkah time. Robert Chicotsky tells me that its time for high school seniors graduating between December 2015 and June 2016 to apply for one of the two Isadore Garsek Lodge scholarships. The scholarships are valued at $1,000 each and will be awarded and presented at a place and time determined by the B’nai B’rith board. One is an academic scholarship, and the other is based on BBYO participation. The purpose of the program is to provide scholarships to children of members of the Isadore Garsek Lodge and/or of an established Jewish congregation in Tarrant County. The parent or guardian must be a member in good standing for at least 12 months prior to submission of the application. Children of deceased parents are also eligible if the parent died while a member for at least 12 consecutive months. Applicants can apply for one or both scholarships. For the academic scholarship the student must have at least a 3.0 GPA on a 4-point scale or the equivalent at the time of application. The application must include school transcripts, class rank and test scores for SAT and/or ACT. If your school transcripts do not reflect class rank, please obtain a letter from your principal indicating your approximate class ranking. Applicants must plan to attend an accredited university or college in the summer or fall semester of 2016. Those planning to enroll in a non-academic program, certified program or tuition free institution such as the U. S. Military Academy are not eligible for a scholarship award. The BBYO participation scholarship is based on a comprehensive point system that rewards applicants for their participation in BBYO. Points will be used to assist the committee on ranking applicants. Applications are now available from rabbis and educational directors or from Barry Schneider at dr_barrys@yahoo.com. Completed applications must be mailed. Email submissions will not be accepted. Mail completed applications and all supporting material to: Dr. Barry J. Schneider, Isadore Garsek Scholarship Selection Committee, 6616 River Bend Road, Fort Worth, TX 76132. Phone: 817-360-9298. Do not delay. Almost 40 Daytimers gathered in the Great Room at Congregation Beth-El for lunch and a presentation about Jews in the Revolutionary War. Dr. Jane Pawgan kept her audience entranced as she named many of the most significant participants and explained, in detail, how they contributed to the war that created the United States. The role of Jews is largely unrecognized, given that they represented only a tiny percent of the overall population. Like other colonial Americans, their loyalties were divided, with a sizable majority favoring the Patriot vision of an independent America. About 100 Jews fought in the revolution and many Jewish merchants’ signatures appeared on the various non-importation resolutions adopted by the individual colonies. The first Jew to die fighting for American independence was, ironically, also the first Jew elected to public office in the colonies. For Jews, participation in the war marked the first time since their exile from Jerusalem that they could take their place alongside their neighbors as equals in the fight for freedom. Lunch was soup and sandwiches cooked on-site by Rich Hollander, who whipped up his tomato-basil soup and two-cheese grilled cheese sandwiches. Corrine Jacobson reached out last week to comment on how touched and overwhelmed she was by the outpouring of support she received after the death of her son, Ed Bond. “We have a great group of Jewish caring people,” she wrote. Nobody can blame the Yavneh boys’ basketball team if the players are a little tired. The Bulldogs closed out their season with four games in five days. Yavneh suffered a 68-46 loss to Trinity Christian on Feb. 15 and defeated First Baptist, 63-59, on Feb. 16, which forced a fourth-place tiebreaker with McKinney Christian the next day. The Bulldogs dropped that contest, 52-47, but still made the playoffs. Yavneh traveled to Lubbock Christian for a Friday morning TAPPS 3A bi-district game, and the 9 a.m. tip didn’t do Yavneh any favors. Lubbock Christian outscored Yavneh 20-9 in the first quarter and raced to a 66-39 win. Steve Levine led Yavneh with 12 points and four assists, while Jonathan Ochstein had nine rebounds. Yavneh finishes the season at 21-12 and graduates seniors guards Jacob Lampert, David Steinbrecher, Levine, Sammy Weyser, wing Will Naxon and forward Ochstein. Frisco’s Hailey Jenkins earned a gold medal this past weekend at the UIL state swimming and diving meet in Austin. Frisco scored 187 points to lead all Class 5A teams. Houston Stratford was second with 156.5 points. Jenkins was a key component of the girls’ 200-yard medley. She swam the third leg, helping Frisco to a second-place 1:48.56 time — .43 seconds behind Stratford. Jenkins was previously featured in a TJP article for the European Maccabi Games. 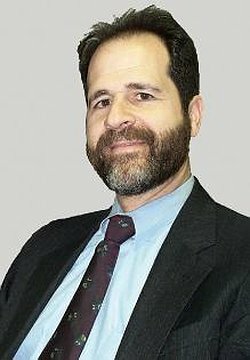 In my last column I discussed the differences between the first two Palestinian “intifadas” against Israel (in 1987 and 2000), in an attempt to define and frame the current wave of mainly “lone-wolf” terrorist attacks being perpetrated by relatively young educated Palestinians, using primarily knives and scissors as weapons. Is this really the Third Intifada, or just a long delayed continuation of the second one? Is it even, by definition, an “intifada”? If it is the Third Intifada, doesn’t the fact that it’s so very different from the first two (at the moment) in the absence of central leadership and large numbers of trained and armed fighters, make it more difficult to end — let alone contain? Many historians will probably label this the “Third Intifada.” But the label doesn’t really matter. In my opinion, every armed conflict Israel has fought since Nov. 29, 1947 — whether against conventional armies, well-organized, trained and armed Palestinian militias or Internet-incited lone-wolf terrorists with knives and scissors — is simply a continuation of Israel’s 1948 War of Independence, which ended in a temporary “cease fire,” and will continue to flare up in various forms until Israel has signed peace treaties with all the Arab countries in the Middle East … including Palestine. The armistice agreements were intended to serve only as interim agreements until replaced by permanent peace treaties. However, no peace treaties were actually signed until decades later, and to date only with Egypt and Jordan. No. At least not yet. According to Merriam-Webster, “intifada” is an “uprising, rebellion; specifically: an armed uprising of Palestinians against Israeli occupation of the West Bank and Gaza Strip.” So far there have been far less demonstrations, mass-casualty violence (shootings, kidnappings, car and suicide vest bombings), or participation of organized, trained and armed forces than in the first two. The only noticeable organizational involvement so far is the continuous incitement on official Palestinian Authority and Hamas media that includes glorified details of the recent “martyrs” as well as promises of big financial and personal rewards to those who join them. Difficult, yes … but not impossible. The tactics Israel used in the previous intifadas won’t work here. With no identifiable leader, no organization to pin the lone-wolf attacks on, relatively few victims and even fewer surviving young (and highly sympathetic) terrorists — targeted assassinations are out of the question. Destroying family homes is also a bad option because, together with multi-angle viral pictures of dead or injured terrorists, made-up Internet stories and Photoshopped pictures of “Israeli soldiers” allegedly roughing up family members, it just creates more hatred and a desire to “avenge Palestinian honor,” as one 14-year-old justified attempting a knife attack after watching the Palestinian evening news on TV. The only way, according to many Israeli analysts today, to at least try to stem the current “Internet intifada” is for Israel to consider doing what Arik Sharon was planning before his fatal stroke … a unilateral partial withdrawal from most of the West Bank, with Israel remaining firmly in control of all “consensus” Israeli settlement blocs (including the Jordan Valley), security assets (including airspace, strategic locations and airwave capabilities), international crossing points (together with Jordan), etc. We all know what the end result will look like — it’s the same deal offered by Yitzhak Rabin, Shimon Peres, Ehud Barak, Ehud Olmert, Tzippi Livne, and more recently Bibi Netanyahu, to both Arafat and Abu Mazen. It’s acceptable to most Israelis (as long as “Palestine” is fully demilitarized). And this should be started sooner rather than later. ISIS’ footprint is growing in the West Bank and Gaza. These attacks could get more deadly very quickly. Also, with the leadership vacuum created in the Middle East by a clear weakening of U.S. resolve, involvement and credibility, Russia and Iran have become the “go-to” default super-powers in the region. Just look north to Syria, and imagine how a real Israeli-Palestinian conflict could hypothetically worsen, when regional and international players start getting involved. Photo: Morenoff family Dan Morenoff sits with his wife Erica and daughters Eva, 12; Abbie, 10; and Maggie, 8. DALLAS — It has been a busy several months for Texas House of Representatives candidate Dan Morenoff. Over the course of his campaign to unseat incumbent Jason Villalba for the House District 114 seat in the March 1 Republican primary, Morenoff estimates he has knocked on the doors of at least 4,000 potential voters. Morenoff, 41 — a business attorney and member of Congregation Shearith Israel — keeps a quite full schedule during the workweek: He arises from bed, takes his children to school, travels to the polling place and speaks with prospective voters there for most of the day. “Right now early voting is underway so I’m out there greeting voters,” Morenoff said during a recent interview with the Texas Jewish Post. After a workday at the polls, Morenoff said, it’s time to go home, have dinner with his family, get his children to bed and then start working on his day job as a business lawyer at the Morenoff firm, his own company. The nonprofit of which he spoke is the Equal Voting Rights Institute, where he is executive director. This is a public interest law firm working to assure that the voting rights of all Americans are protected equally. 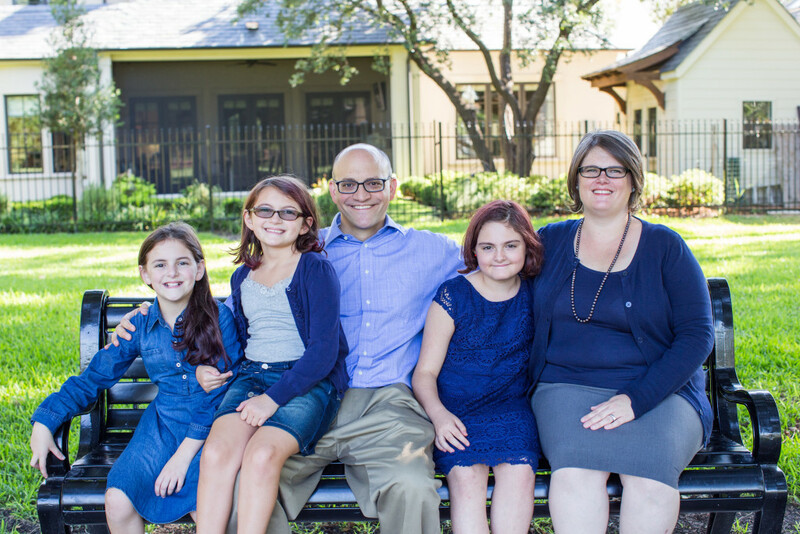 In addition to his day job, Morenoff volunteers as an officer of the Cardozo Society of the Jewish Federation of Greater Dallas, is a member of the Federation’s Planning and Allocation Committee, and is a member of the JCRC’s Advisory Council. The candidate bases his campaign around various core issues: consistent rules and tax rates for the economy; consistency in the budget, which includes a meaningful cap on government growth; better and more responsible management of education; strong controls over border security; effective gun rights; and stronger culture of life for everyone, including the elderly. Many of Morenoff’s friends and colleagues in the Jewish community are excited about his candidacy. Bill Finkelstein, an attorney who has known Morenoff ever since he first moved to Dallas, agrees his friend is a man of principle who cares deeply for family and community. This primary race between Morenoff and Villalba is to represent North Dallas and Lake Highlands in the Texas House of Representatives. The winner of the Republican primary goes on to face Democrat Jim Burke in November’s general election. Growing up in the DC suburbs of Rockville, Maryland, Morenoff has lived in Dallas since 2001. He and wife Erica are raising three daughters — Eva, 12; Abbie, 10; and Maggie, 8. During that time the candidate has led chapters of both the Federalist Society and the Republican Jewish Coalition. He is a graduate of Columbia University in New York with a degree in economics and political science. Morenoff worked on entitlement reform after college in the office of Republican Texas Senator Phil Gramm for several years before attending law school at the University of Chicago. Rob Ackermann, an attorney and fellow Shearith Israel member, said he has the inside scoop on how the mind of this candidate — his friend — works. David Goldberg, another longtime friend who has known Morenoff from Shearith Israel for over a decade, said he is proud to support the candidate. Goldberg said it is possible for an elected public official to be a man of conviction and character while also doing the right thing. Rabbi Aryeh Feigenbaum of Congregation Ohr HaTorah, a friend of Morenoff’s who was speaking as an individual and not from his rabbinical perspective, said Morenoff has the stuff to be elected.